2018 was not the year I had hoped for. I was excited about taking on another OTTB, Eddie, in February, but literally days later lost my Dad - and my biggest supporter. Understandably, riding took a back seat to real life and the adjustments and arrangements that followed his death. Eventually I was back training Ralph for the upcoming season with the back-of-the-mind idea that we might move up to Training if all went well. Eddie at only 5 years old was adapting to a less stressful life and we wanted to give his tense body and less-than-perfect feet time to improve, so he was hanging out and taking it easy. Ralph and I began the season in May at a stadium/cross-country competition that started wonderfully - he jumped super and I felt I rode well with the feeling that I had figured something important out. He placed 2nd in his first class and the second one, at a higher level, began equally well. In the last line something went wrong and Ralph missed his distance at an oxer, resulting in him putting one front leg on either side of the back rail, causing him to fall and sending us both to the ground - hard. While he seemed unhurt, my confidence was seriously shaken and when I had another fall (this time hurting my back badly) from Eddie a short time later the competition season I was so looking forward to was suddenly on the back burner. Eddie was sent off for training and he returned with some of the basics in place and a more cooperative attitude. He is now being half-leased and enjoying his work; we look forward to next year with him. While I continued to ride Ralph, his competition efforts were with Claudia and Kathy while I worked on regaining confidence. A lot of thinking was also going on - I didn't want to finish a 40-year 'career' walking out of the ring bleeding after Ralph's fall, but I would be 59 in 2019 and I knew my ability to train and compete successfully would require significant time and effort. I think the older you get, the more important it is to ride regularly (5-6 times a week), be physically fit and mentally focused. The aches and pains are real and the desire to do the work despite them must be strong. I spoke to my husband, and Alison at work, telling them I wanted one more season of Eventing and I would need their support. Paul's concern was that I could be hurt (which, of course could happen, but my most serious injury to date has been a concussion incurred slipping on the walkway outside my house! ); Alison, as always, said she would do whatever needed to be done. I was happy with that and continued riding with renewed energy. At the same time, I decided I would write a blog to follow the progress of my last year - an older adult amateur trying to rebuild confidence has a certain (limited) audience, but I would be doing it with Ralph (who has a much larger one! 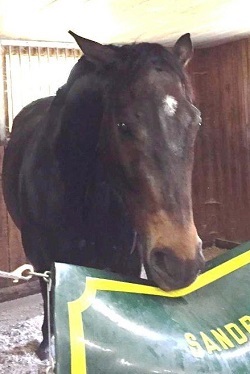 ), a truly special and funny horse with many mental and physical quirks to go along with his honest and genuine nature. I also wanted to document and remember this final season; my memory aint what it used to be! Before the year could begin, a spanner was thrown in the works - in December Ralph had a couple of 'episodes' where he exhibited stiffness and some incoordination. 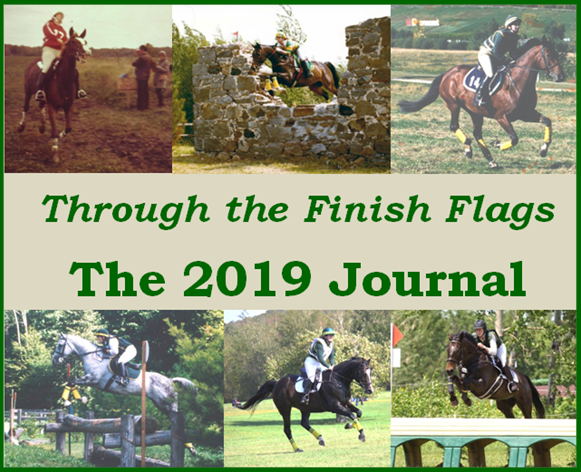 I've decided the blog will go on; this is horses after all, and anyone in the game for any length of time knows it's not all sunshine and red ribbons (or even the "well, at least I finished" mauve one for 10th place). The Christmas and New Year's celebrations are over and we finished counting our inventory at Sandridge Saddlery. I'm relieved to be done with a year which began with the loss of my Dad, continued on with me having two significant falls (one each from Ralph and Eddie) which ultimately put a kibosh on my entire competition season, and finished with Ralph running into a health issue which was quite worrying. Ralph is tentatively back to work. Kathy and I have each given him a spin and he felt quite perky and relaxed - a welcome change from early December when he didn't seem his usual happy self; acting a bit grumpy and even less interested in his feed than usual. He also had two weird episodes - in the first he seemed very stiff and uncoordinated and was very sore - grunting when he moved. A few days later he was lying down at dinner time and didn't want to get up. Again, he seemed very stiff and didn't want to move. 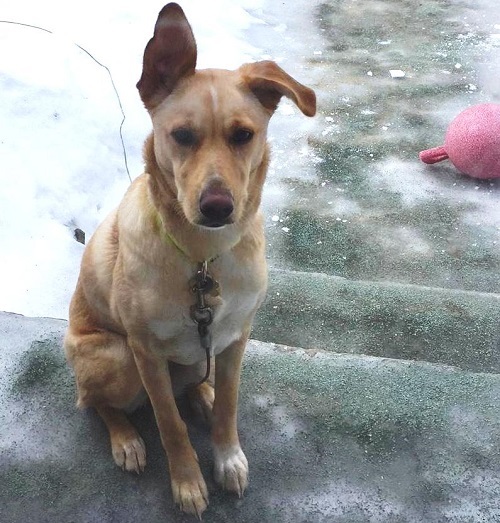 We have treated him with Banamine and Previcox, gave him a few sessions of physical therapy and a few weeks off and he seems back to his normal self...we'll take it slowly and if he exhibits any further strange behaviour I'll get him up to Ste-Hyacinthe for further evaluation. I need to get fitter and find a way to manage my lower back pain. X-rays and CT scans show where the damage is, but there's no magic bullet to make it better. Not surprisingly, it doesn't bother me while I'm riding, but I will often pay for it later. I plan to find a physiotherapist who can help keep me comfortable, and will add some cardio (probably running in the evening with Toasty) to the exercises I do every morning to keep me (somewhat) flexible and strong. On the psychological side I am lucky to have Claudia as a coach as I tend to dwell on my failings rather than celebrating the successes; she is as positive and supportive as they come. The basics are in place and I'm ready to see what we can do; let's go 2019 - bring it on! When Ralph first came into my life I still had Remy. His saddles were both Amerigos (yes, I know - there are definitely perks to having a tack shop!). Ralph was very fit and on the thin side and really didn't have any sort of topline. I verified the basic fit of the saddles to ensure they weren't going to hurt Ralph, and in fact had to change the model of the jump saddle right away as it wasn't an acceptable fit. I then 'padded up' and got to work. Ralph has changed a lot over the years, and for a couple of years the dressage saddle fit him really well. Then I noticed it fit him well in the winter, when Ralph was fatter, but I had to use a wither pad during the competition season once he was really fit. The saddle would tip a little with less fat around his withers, and though he never complained and we never found any associated soreness, I could feel a change in the balance. This worked well for a year or so, but then the wither pad wasn't quite stable enough so Vicky and I decided it was time to modify the tree from a medium-wide to a medium. This again worked really well for another year or so, but once his shape matured and stabilized we determined it was time to find something that would fit Ralph a more consistantly. He has a high wither and we felt he would likely benefit from the traditional 'thoroughbred'type' panel that provides more support below and beside the withers. Vicky came out and verified that the best tree for him would be the 'Fusion' from Jeremy Rudge, then I got to choose the flap design ('petite, with thigh blocks on velcro), and leather (soft, grippy 'Mellow' in two-tone black and brown). Shortly after Christmas it arrived, but Ralph was still recovering from his body stiffness/soreness. Vicky again came out to check the fit and made a small adjustment to the wool flocking and we were ready to go. I have had a couple of rides on the saddle at this point and certainly feel it is balanced and comfortable for Ralph. It is still a new saddle though, and requires a couple of conditioning sessions (I use Oakwood Conditioner) and a few more hours of riding time before it feels like home. Something to keep in mind - just because "it's always been fine" doesn't mean it continues to be. 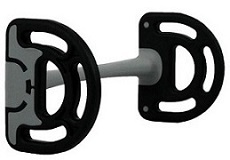 Take an objective look at your saddle fit every 6 months at least! After all these years I should know that despite my best intentions it is almost impossible to 'hit the ground running' in January. We are now the third week into a shiny new year and I doubt I've managed to ride two days in a row! If it's not the weather, it's appointments or personal obligations that mess up my schedule. I have learned that my best time to ride is first thing - soon after I have done my own stretching exercises and before the day gets away from me and I look up to discover I have run out of time. Riding in the morning also sets me up for the rest of the day; I think I'm a little more patient and less irritable when I have had some exercise and 'equine therapy' first thing. So, between my mornings not behaving as they should and the icy/cold conditions we've had, I haven't developed a routine yet. Fortunately (or unfortunately!) I've gone through this before and am not panicking just yet - I will wait until the end of February and then begin stressing over how little time there is before a new season starts! The other fly in the ointment has been Ralph's continuing health mystery. After a couple of weeks off after the two episodes he had in December, I started riding him again and all was well - until Andy sensed he wasn't right at lunchtime one day and checked on him later in the afternoon to find him again lying down and in considerable discomfort. Dr. Halle was again called out and treated him with Banamine; followed up with x-rays of his neck the following day. There has been some back and forth about what has been seen on them, so currently I am waiting to hear what a second radiologist thinks. In the meantime, Ralph was put on Previcox for a week and the idea was to see how he felt on that. I managed to get on him twice and Claudia once, and he seemed very comfortable and happy each time. Now the medication will have worn off, we will see if that changes things. It can be so frustrating getting a diagnosis when the patient can't tell us what he's feeling! Eddie, on the other hand, has been ticking along pretty well. 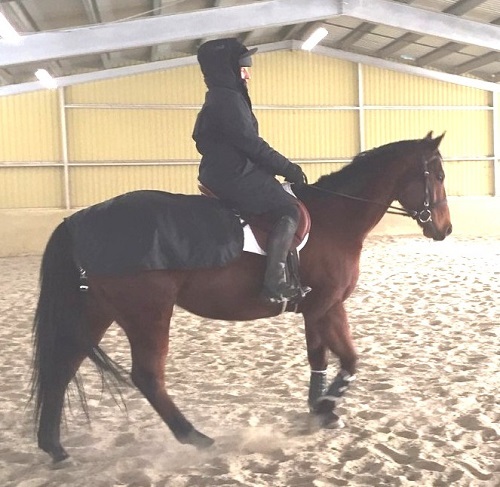 Though he is still somewhat tense physically and worries a bit about the consequences of making a mistake, his flatwork is improving and his jumping is super - he seems to really enjoy it and it comes easily to him. He is starting to experiment with the concept of relaxation, softening his neck and topline for a few strides here and there and discovering nothing bad happens to him. He had his first therapy session with Mychelle this past week and seemed to respond very well - Claudia reported he felt like he was a hand taller when she started his trot work! I am looking forward to doing some more structured groundwork with him to help with his trust and confidence issues, but I think it can wait until the temperature goes above -15! The week started with an unplanned trip to the hospital with my step-mother, Betty, on Monday, continued into the horrible weather conditions on Tuesday and Wednesday, and hit its low-point with a flood in our basement Thursday. I did manage to ride Ralph on Wednesday and he didn't feel too bad. It is tough to discern whether he is being lazy, is stiff due to irregular activity, or is not feeling good due to whatever has been bothering him! Although the horses are out almost every day for 4-6 hours, they are not moving around very much because of the icy conditions and we need to be careful to warm up slowly and be patient with what we ask in the 'work' phase. Ralph is so honest and willing that he doesn't resist on a bad day - he just feels stiff and not very motivated. I am still waiting on some results from the vet and in the meantime I'm investigating everything from Lyme disease to selenium deficiency. I did have my best ride yet on Eddie. Granted, we were only walking and trotting - but he felt more relaxed and straighter, and when he had a little shy or start, my heart wasn't in my mouth! He too needed a change of saddles as we noticed there was a little heat in his back and evidence of pressure points. The last thing we need to do is antagonize him with an ill-fitting saddle. When I lunged him on Sunday and the stirrups slipped down and were flapping around a bit, Eddie displayed his athletic bucking ability - I think any back issues are slight at this stage! Laurie had one particularly good session with him; jumping a little 5-jump grid with no problems at all, and Claudia bundled up as usual and made sure she also gave him a school despite the frigid temperatures. I once read a book called, "A Year at the Races", by Jane Smiley. Jane is a small Throughbred racehorse breeder in California and the book chronicled her trials and tribulations, including those dealing with a young horse called "Hornblower" who was performing below expectations. In an effort to figure out why, Jane enlists an animal communicator and I found the resulting conversations with 'Wowie' (what the horse preferred to be called) both interesting and hilarious. Like any horse owner, I find Ralph to be endlessly facinating and would LOVE to know what he is thinking. His recent mysterious body-soreness-episodes have been particularly frustrating - if only he could tell me what's wrong! - and I thought I'd take the leap of faith and shell out $ 90 on a communicator to 'speak' to Ralph. The communicator had me on the phone while she had her session with him. She had asked me previously if I wanted to know anything in particular and I said I'd like to know about his physical well-being, and what he liked and didn't like. I figured that was sufficiently vague to avoid leading anywhere, and I really wanted to see what 'he' would come up with. I was totally fine with throwing the money away in the interest of entertainment, and if I learned anything remotely helpful in figuring out what was wrong with him - bonus. I was extremely sceptical about this process, but I was also sceptical about acupuncture until I saw with my own eyes and experienced what a difference it can make. Never say never - right?? He apparently wanted to know what photos she had of him and told her he had three blankets. He likes the therapeutic one and says it helps him. He likes to be cosy. He asked her if he is going to be out 24/7 (yes - I've been thinking about this!) and she asked him if he would like that. He said he would, that he could breath better, but he wouldn't like it if it was icy. He doesn't want to fall on the ice and 'walks carefully, carefully, carefully' so he doesn't. 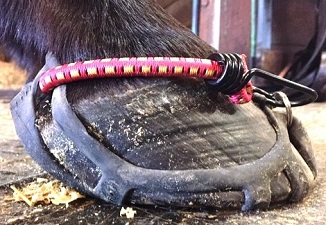 He mentioned that he has a problem coming into the barn because he has to watch his feet so he doesn't slip. When I asked about his physical issues, he said his left hind leg sometimes feels like it is cramping and he doesn't want to move when it does that. Then he mentioned a sharp tooth he has that bothers him. (He just had his teeth done a couple of months ago - I'll have to check). She told me he breaths shallowly and may have an oxygen problem. He said he's not lazy but he hasn't got a lot of energy 'because of the moon" (Wow, thanks Ralph - that helps). His right front foot is a little sore (he does have some bruising at the toe of that foot). There wasn't any mention of his neck issues or why he trips - I've got to say I was so amused by what I was hearing, I forgot to ask some of my more important questions. I asked if he likes Eddie, and he said he does, but he doesn't know why Eddie makes ugly faces at him. He also said Eddie is famous(!). So, yes, Ralph apparently has a lot to say, and I'd better start listening more carefully. And, of course, being more mindful about what I tell him! Eddie is proving to be both more and less complicated than he first appeared. I think our first impression that he was very defensive was correct - we think he was probably not given much chance to make any errors without paying for them. 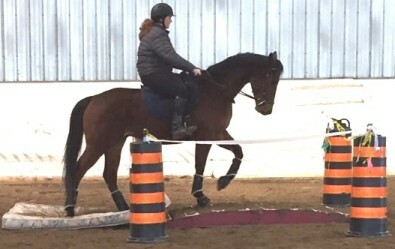 He is mostly very willing and brave about new things, but he seems to worry about making mistakes - for example, simple trot rails seem to stress him out a bit as he works out exactly where his feet should go, and yet he doesn't have the same problem when approaching a jump. A good example of his over-reacting to mistakes is when he has over-jumped a new fence. He is quite powerful and careful and on occasion will put in a much bigger effort than needed (qualities that may make him better suited for the jumper ring than eventing!). When this happens and his rider has any significant loss of balance he scares himself and then worries about jumping it again. He does get over it though, and doesn't seem to hold on to the stress - he'll go straight into something else and be fine. Figuring out what bit suits him has been quite interesting as he can be quite strong at times, yet feels softer and more relaxed in a very mild snaffle. As long as we are working within the four walls of the arena we can safely ride him in a mullenmouth Duo bit (a bendy rubber/plastic mouthpiece) or one of the new Acavallo bits, but we'll have to see how much control we might have with these once we are outside. I was concerned his significant parrot mouth might present a challenge in fitting him with bits but it doesn't seem to be a problem. I've also started longeing him in a Chambon. He tends to hold his neck too high and resists going forward into the bridle in side reins, so the Chambon - which only asks the horse to lower the neck - has proven to be much more useful. Ideally he will relax down and start to use his back, building up the muscles that are needed to carry his riders correctly and comfortably. Eddie is good to handle and gets along in the field with Ralph and Lou. I've recently added a supplement with magnesium and B-vitamins to his feed to see if that might help with his sometimes-over-active nervous system, but he loves his meals and doesn't seem to have noticed anything amiss. Eddie has become much more people-friendly in the stable; he was a bit aloof and shy at first. His level of trust is also much better - recently I decided to have him shod to give him more confidence on the ice. When he first arrived he was quite difficult for the farrier, and when hot-shod a couple of times was very anxious about the process and it was a challenge to even hang on to him. This time he calmly stood, and while he rolled an eyeball or two at the smoke rising from his feet, it was apparent he was far less worried we were trying to kill him! We are realizing that we are likely going to take quite a bit longer with him on the basics as he learns to trust both us and himself, and we'll be giving him the chance to do it in the simplest and most low-key environments possible. He is still a young horse (only turning 6 this June), and it is unfortunately apparent that we have some 'RE-training' as well as training to do. Eddie isn't a 'hot' or nervous horse to handle and is quite brave about all sorts of things that many horses would be apprehensive about - but he is wary of what our response to any missteps will be and it is critical to his future as a safe and happy riding horse that he realizes he can make a mistake and live to tell the tale. 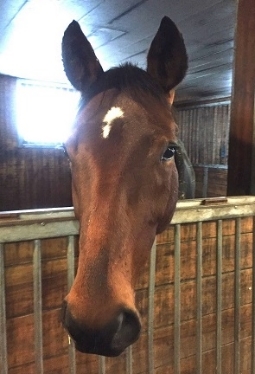 Knowing what I know now, Eddie probably wasn't the best choice for me, but the idea was to take on a horse who wouldn't necessarily have a good future after his racing days - and he definitely fits that profile. While I firmly believe he has a lot of potential, producing it is proving to be a little more interesting than anticipated! I finally got some feedback on Ralph's neck x-rays. Apparently there are 'lesions' between C4/C5 and C5/C6. This is likely arthritis, and common enough in sport horses. This may help explain his recurring neck stiffness, but certainly not the three episodes where he could hardly move. I have started him on Previcox and he seems more comfortable when being ridden, but I am still concerned there is something further amiss. 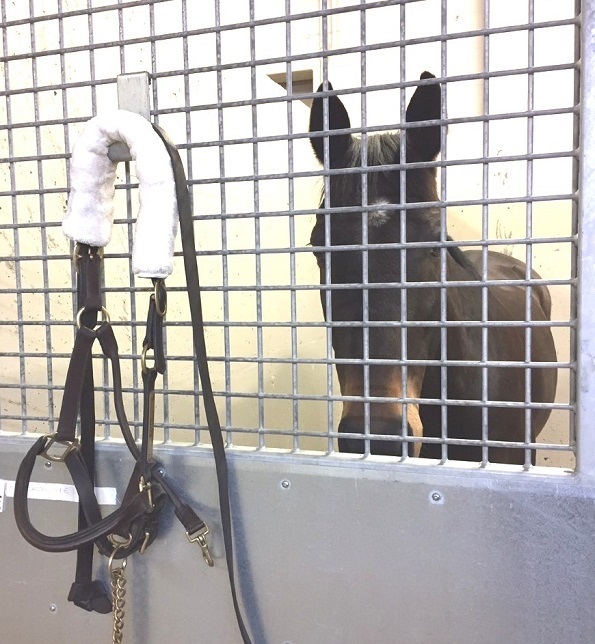 The plan is to take him to Ste-Hyacinthe toward the end of the month to give him a 'once over' - lameness and neurological exams, perhaps some further x-rays if indicated, and probably a scope to better determine whether there are ulcer issues at play. In the meantime, I'll keep him ticking over and work on getting both of us a bit fitter and more prepared to get going in earnest once we (hopefully) get the all-clear. The past week or so has been encouraging. I rode four or five times and while he sometimes is stiff to begin with, he has felt more like his old self with gusts up to, "hey, this feels GOOD!". 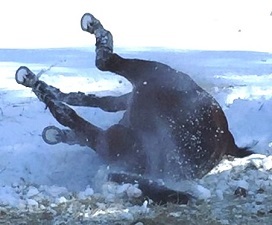 Our arena is not attached to the stable, and in fact is a bit of a hike - particularly when the footing is icy. Eddie was a bit traumatized when it was really slippery, so he had winter shoes put on to ensure he doesn't lose training time because it's icy on the walk to the arena. Ralph walks very slooowwwllly and usually in no danger of skidding, although he insists on gazing around his domain and is rather oblivious as to where his feet are going. Between that somewhat careless attitude and the very slick conditions, I decided to 'McGyyver' some hoof traction for him to ensure we both stay upright on the trek. The next try involved mini-bungee cords, but I mistakenly cut one of the creepers in the wrong place (there's $29.95 down the tubes...) and the o-rings (split key rings) were a little too big so everything was a little TOO easy to put on and not quite snug enough. Back to the hardware and drugs stores, but finally had success! It takes just a minute to put all four boots on and even less to get them off. We no longer have the ice as an excuse not to get to work, though I wouldn't recommend them for anything more than a limited quiet walk! Eddie has been trucking along. I have lunged him several times in the Chambon and he is getting the hang of dropping his neck and relaxing his back. This arrangement also allows him to display his very athletic 'airs above the ground' when he's feeling particularly fresh! He developed some rubs on his back in the previous saddle we were using so we have changed to a Jeremy Rudge that suits him better. At this stage of his development he needs to wear a non-slip pad, which works very well but proved to be a little too rough for the rubbed patches. As they were not improving, he hasn't been ridden for a week while we wait for a gel underpad which should provide a good cushion and prevent any friction...should be interesting when he gets back to work! 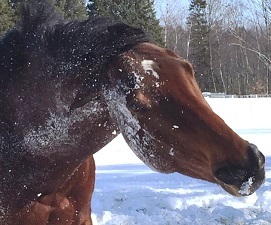 Speaking of rubs, this is the time of year when we start seeing balding patches on the horses backs under the saddle, shoulders where blankets lie, and sides where the rider's leg rests. 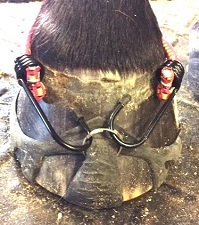 This is a result of some friction while the horse is changing his coat - the hair comes out REALLY easily and it is usually no cause for concern. 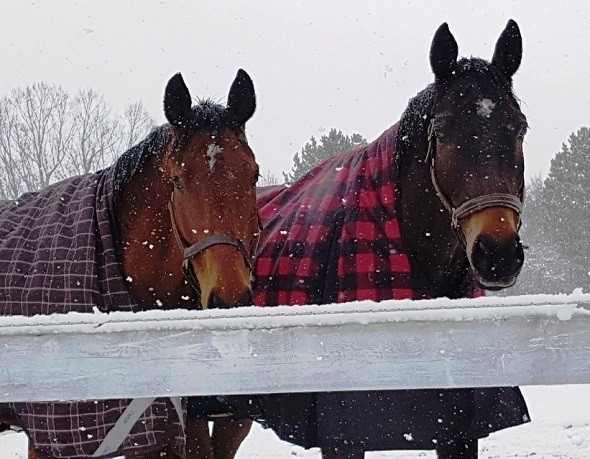 Make sure saddle pads and blankets are clean, of course, but just alternating between saddles, pads and blankets if possible - all with slightly different points of pressure - is often enough to keep you going while the new coat grows in. If there is heat and/or the horse is sensitive on the spots it is a different story and you should eliminate any pressure while you determine the cause and rectify the situation. Finally some answers - sort of! Between his weird episodes in December and January, his ever-diminishing appetite and concerns about his neck stiffness, we agreed the most efficient way to thoroughly check him out would be to schedule a day at Ste-Hyacinthe. Fortunately I was able to get the trailer out of the snowbound garage and have it and the truck given a little TLC from Daren at DH TechPro, so I didn't have to arrange for transport. A knowledgable friend, Linda, was enlisted for company and a second set of eyes and ears, and early Thursday morning we headed out. First on the schedule was a lameness exam. We were interested to know if any of Ralph's stiffness and occasional lack of effort was due to pain or issues in his hocks or elsewhere. As he aced test after test, the vet looked at me and said, "If this were a pre-purchase he would pass with no question." Some atrophy of the muscles on the left side of his back was noted and I was given suggestions for how his feet should be trimmed, but all in all there were no issues with Phase I of our day. The second item on the agenda was a neurological examination. The lesions seen on the X-rays Dr. Halle took combined with the incoordination he showed during his episodes led to concern there could be some spinal cord compression at work. The only thing the vet noted was Ralph had a split-second hesitation just before his front feet hit the ground. I was told without the lesions on his X-rays this slight irregularity would likely not be noted, but in this case it could be an indication of a slight communication interruption in the nervous system. Further spinal X-rays were going to be taken later, but for now we were on to Ralph scope for evidence of gastric ulcers. He had fasted for 12 (actually closer to 16) hours prior to the test, and was sedated and led into the stock. He was very good during the fairly lengthy procedure, though he did need a second dose of the sedative and had a nosebleed partway through. Turned out he did have significant ulceration of the stomach, and when we continued on to examine the pyloris, where the stomach joins the small intestine), there was more to be found there, too. No wonder he wasn't too interested in his feed! He will have a course of Gastogard and another medication, sucralfate to help heal those up. 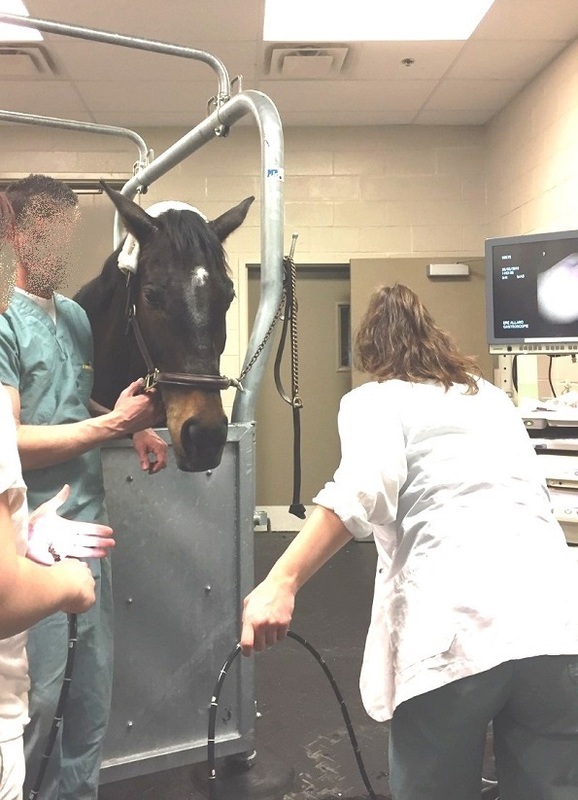 It's possible that a flare-up of the ulcers could have caused the three episodes he had, and would help explain why his demeaner mimicked a colic-y horse to a great extent. The next (and last, we thought) stop was for further X-rays of Ralph's neck. While the ones Dr. Halle had taken were helpful indetermining there were some changes, the machines and displays possible at Ste-Hy are apparently superior in clarity. Again Ralph was sedated and we waited while the pics were taken. Ralph returned to his stall and I bandaged him and got him ready to leave while he munched on some hay for the first time in about 20 hours. We were eventually called in to go over results and have a look at the X-rays. Ralph has remodeling happening on four vetebrae, more significant on some than others. The question remains whether there is any impingement on the spinal cord, which you can't tell from X-rays. One option is to do a myelography, which involves injecting a contrast medium around the spinal cord under general anesthesia and taking further images. The other option, which I chose, was to inject corticosteroids at the affected joints and see what effect that will have. If Ralph gets better, it indicates there was inflammation that the steroids effectively treated; if he does not improve the prognosis is not as positive as it may indicate that any inflammation was not a significant part of what is going on; if he gets worse it can be because when he feels better he moves his neck more and causes some spinal compression. I went back and took Ralph's travelling clothes off as it was decided he would stay over night and have the injections done after sedation in the morning. I returned to pick up a very grumpy horse the following day, but was told he was very good and the treatments went well. Ralph will have a very quiet three weeks, then gradually be asked to move more. At six weeks, unless something significant has appeared, he will go back to Ste-Hy where he will be re-examined, comparing how he goes to videos that were taken now. Best case scenario is the steroids take care of the inflammation and Ralph is comfortable and goes back into training with some maintenance to keep him that way. If things don't go as hoped, Ralph will have to be retired. We are keeping our fingers (toes, eyes...) crossed, but recognize that we may not get the result we are hoping for. One of the tougher parts of horse ownership is looking at the prospect of paying board on a horse you can't ride for the next 15 or 20 years! While Ralph lazed around in the field with Superman, it was a good chance to give Eddie and Laurie an outing and to see how he would respond. 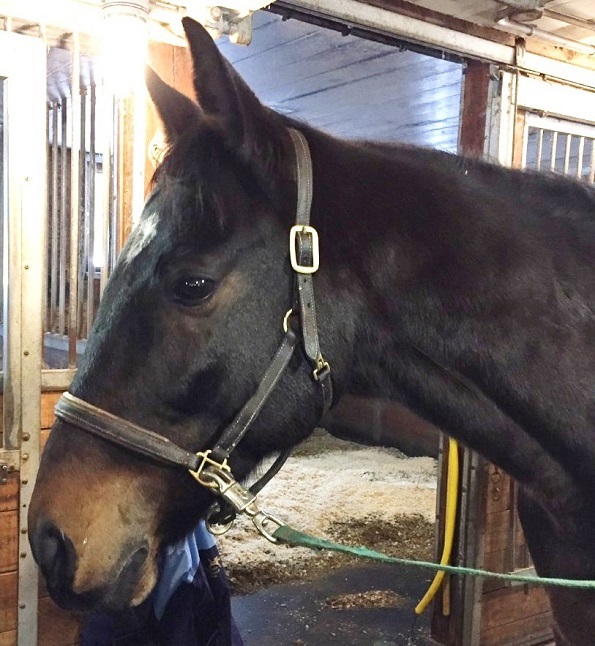 A local stable was holding a 'de-spooking' clinic with an ex-police horse trainer Cindy Fuerth. 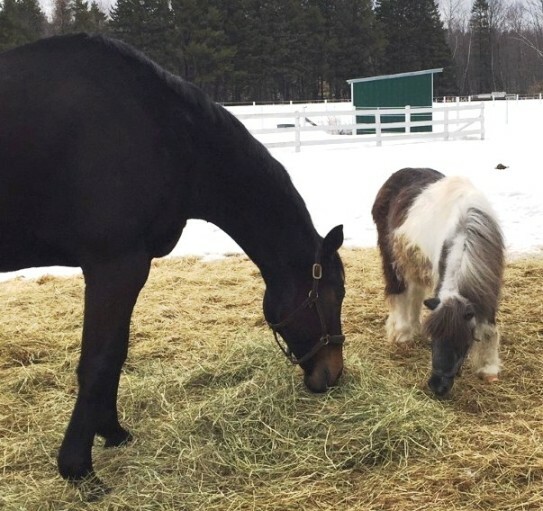 It involved a trailer ride, 2 days of the clinic and two nights stay away from home - a good chance to see how Eddie would cope with some changes to his routine and a little stress. We knew that Eddie was not straightforward to load, so we practiced a day or two before we were to leave. It took an hour to get him to walk quietly on to the trailer; we asked him to walk forward and if he stopped we applied steady pressure on the lead until he made an indication to come forward, when it was immediately released and he was told how brilliant he was. If he pulled back he was made to reinback more than he would like and we would have him move his feet, going to the left and right around us, then allowed to go forward. It required a lot of patience, but we were making it clear to him that the 'right answer' was to go forward when asked and we were not getting him upset. When he did go in, he stood quietly and was then asked to back out and then he went in and out a few times without any problem. We went through the same thing the day he left, though it took a little less time. Although the drive was only a few minutes, he was sweating when he arrived; indicating he was somewhat stressed. He was unloaded and taken to his stall where he settled quite quickly and was happy to eat his hay and look around.Eddie was relaxed enough to eat and drink well and lay down during the night - all good signs. As the horses continued to walk around the arena in both directions, most of them gradually settled enough for their riders to get on, though Laurie continued to lead Eddie. While many continued to be very wary of the end of the arena, some semblance of control was being regained and it was time to lay down a 4' x 8' sheet of plywood to walk over. Most horses took two or three tries to walk on it; Eddie took more like 10 - BUT, once he walked on it and realized it wasn't going to hurt him he was much quicker to accept all the other obstacles and tests that were presented to him. Next up was another piece of plywood, then a tarp, then a mattress, a bridge, a mattress with a tarp ON it - all of which were walked over calmly in both directions without any fuss. Before too long Laurie mounted and they contined the same way. After lunch were some 'sensory delights' - smoke, gunshots, a bubble machine (THAT spooked a few horses, but Eddie was very good), a waving air-filled giant man, a giant snowman, various balloons and so forth, and Eddie was a real trooper through it all. After a good night's sleep for Eddie, they were back at it - the last session beginning with a basic drill ride which ultimately included riding in formations and 'threading the needle' across the diagonal in trot. This was also encouraging as Eddie didn't seem fazed by the close-quarters or horses approaching head-on - good practice for the warm-up ring at horse shows, and something that many OTTBs have issue with. They finished up with some dogs, an ATV, sirens, and a three-barrel contraption that rattled as it rolled. The idea was for the horse to push it along, though none of them were very enthusiastic about that one, though Eddie was one of the bravest who was quite relaxed about putting his nose on it and following it along. We were thrilled with Eddie's performance over the two days, and although it again took an hour to load on the trailer to go home, when he did go in it was with calm thoughtfulness. The clinic was very encouraging - Eddie didn't lose his mind when he went somewhere on his own, he didn't stay stressed out in the new and challenging environment, and coped very well with being asked to get out of his comfort zone. Laurie did a fantastic job with him, staying cool and focused despite a bit of an exciting start and giving him confidence with her calmness. We'll look forward to getting out and about with him more in the future! Meanwhile, Ralph is extremely put out that he's not allowed out with Eddie and Lou in the morning - their 'reindeer games' can get a little boistrous and he is supposed to be taking it easy. His appetite seems to be a bit better - between the Gastrogard and two syringes a day of sucralfate, he'd better be! I am becoming quite expert at hammering the pills into powder and mixing his doses, but I feel for Kathy who has to do it everyday with Peekay's epilepsy medication - and not just for a few weeks. Ralph is also starting stretching exercises for his neck and seems to be more flexible and comfortable than he was - all encouraging developments.